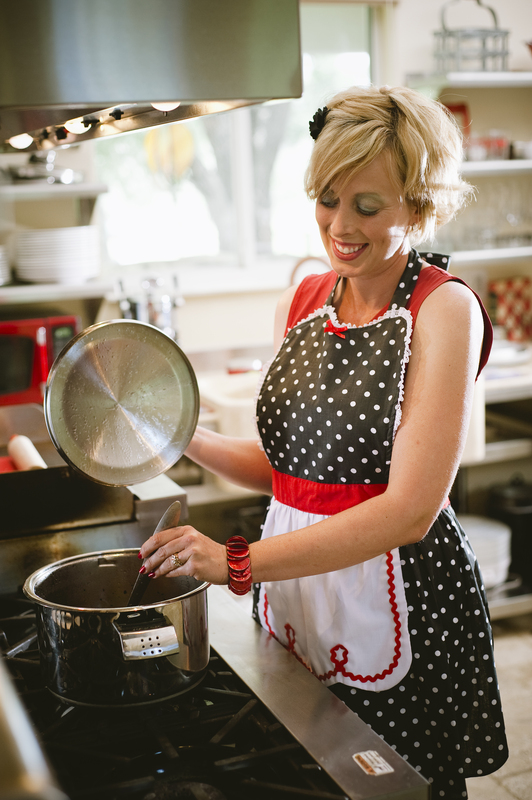 Aren’t vintage recipes the best? 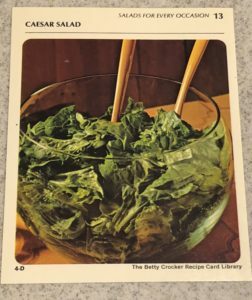 Out of our recipe box this month, we pulled out a classic, Cesar Salad. But Cesar Salad can be high in fat, and let’s face it. Not all dogs like lettuce. So for our spin on Cesar Salad, we decided to give this classic a healthier taste and use spinach. We LOVE spinach and so do our dogs. Enjoy this salad with your dog, but you may want to add some salt and pepper to your plate. Leave it out for your dogs. This recipe serves one dog and one person. Is this fun or what? Mix dressing up first. Combine yogurt, vinegar and honey. Set aside. 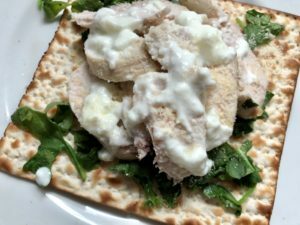 Take each matzo cracker and top with spinach and sliced chicken breasts. Place chopped sardines on top. No, we didn’t use anchovies. Too salty! Drizzle dressing on top of the chicken. Top with parmesan cheese and egg! Serve! Never serve hot food to your dog. Consult a vet before making any dietary changes for your dog. This is meant as a treat and not a regular meal replacement.